Here I am exploring the rings around the orrery. I am making the centre of the orrery the bumblebee being that it is the key point and then the domino effect there for. However due to the complex nature of the predicted domino effect with things intertwining, I am trying to work out the best way to symbolise this mass extinction. Here is just the dead basic concept of the domino effect. 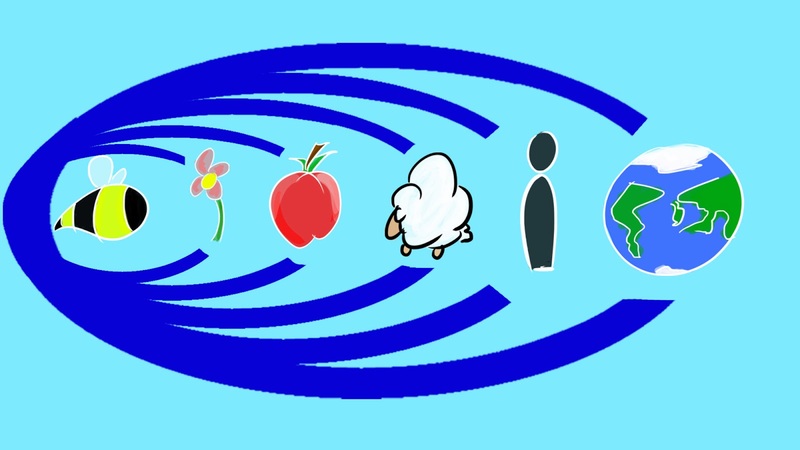 Plants and crops die following with herbivores (represented by the sheep) which would then kill off the predators (represented by Man) and then finally the globe to show the end of the world. Here I have done much the same but presented in rings to visually grasp how it would look. 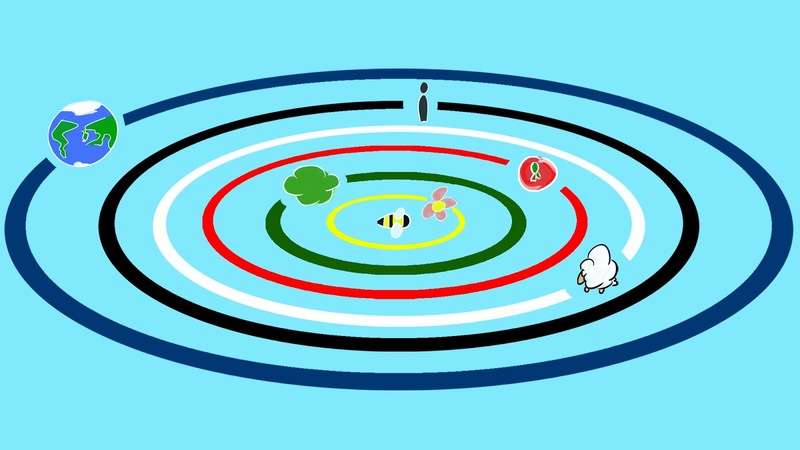 I have also added the tree (the green ring) as it was suggested to trees would also die out to lack of being pollinated. I have put it in close due to it being a result of pollination but is one I am not sure where it should go due to how long it lives. Here I have done a small list of how the order could look. The first few are playing with taking out or moving the order of the images to try and work out the best way to symbolise the steps to dooms day, while last two (still playing with this idea) I have put the flower and the apple on the same ring as a way of showing the intertwine of these steps. This is due as if the we lose the bee, pollination will be the first step which effects plants and cops which is simultaneously effecting food for the animals and ourselves. I then have the herbivore and then us the predator. 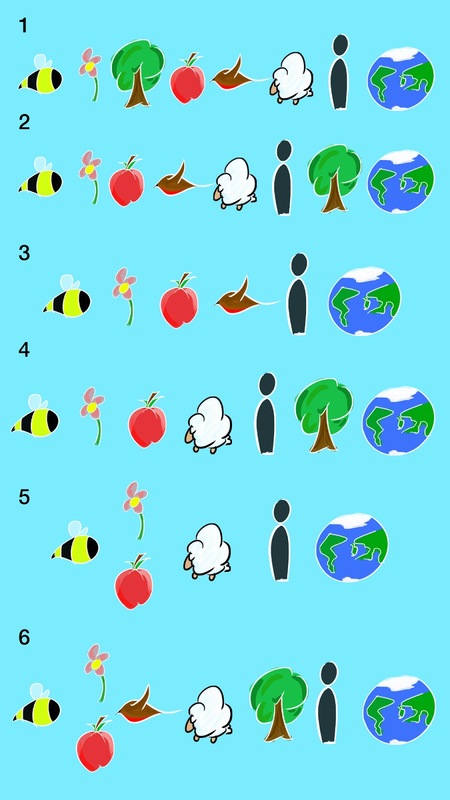 In the bottom image I have put the tree before the human as the lack oxygen, due to the lack of plants etc would also lead to are downfall.